If you prefer to use credit card, email me and I will send you a paypal invoice. *for those who’ve attended a workshop with Tom before. In a home ten minutes from downtown Edmonton. 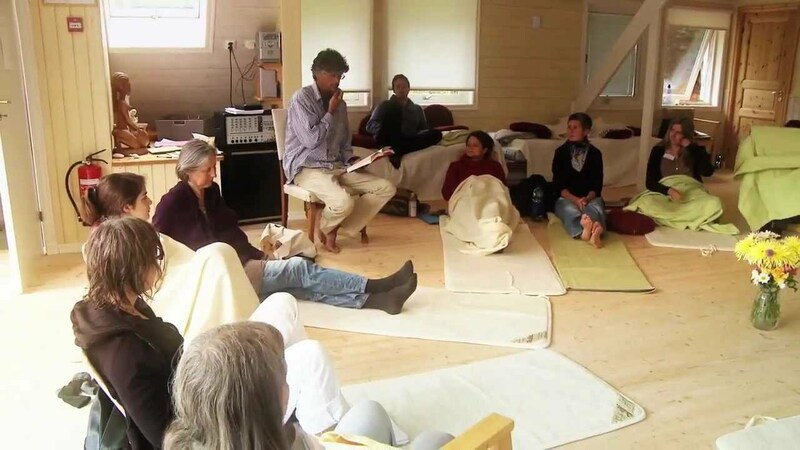 The experience of the weekend will involve sitting in a group, meditation, listening to readings, group discussion, self-inquiry within the main group and in partners, and light movement to music (optional). Everything is optional. Participants always have the choice to opt out of anything that is uncomfortable AND they’re invited to step into discomfort. The truth is that we’re not looking for self-improvement. The problem is that most of us are walking around with a concept of love in our minds that involves a lot of rules and expectations. A concept that has nothing to do with love. And it separates us from everyone. Okay, so what IS love? It turns out that it’s so much more than rules and conditions and also so much less. This upcoming workshop with Tom Compton won’t tell you what love is because we all have to find out for ourselves. But it can show you the way to love. Imagine you’re lost in the woods of life. Every step feels like you’re heading deeper into the darkness. Heart racing. Palms sweating. Uncertainty. It almost feels like there’s no point in trying anymore. You can’t see if you’re making progress. You can’t see where you are. Until…you glimpse a light ahead. It’s in the distance but you can make it out clearly. Where is the light coming from, you wonder. Can you trust it? Even in the doubt, something tells you the light is just for you. It’s yours. Now you notice that the more you focus on it, the bigger, brighter, and warmer it grows. And, in fact, you notice something else strange. You feel that far off light…INSIDE of you. You can feel the warmth of that light in your heart, your throat, your arms and legs. It’s not “out there” at all. It’s coming through you. In fact, you realize that it’s always been there. You’d just forgotten. That is your warmth. Your connection to true and abiding love. Once you’ve remembered and reconnected to it, no matter how lost or alone you feel, you know that all you have to do is remember the light. You do that by connecting to your heart. Tom uses his 20 plus years of skill in facilitation to point the way so that we can find our own answers. He guides us to see that we are worthy of full and complete love right now. He reminds you that you have the key to everything inside. He introduces you to that key – he introduces you to your Heart of Hearts. Claim your spot today. We want this experience to be small and safe. So it’s limited seating. Join us for this heart-opening weekend, when we will be using the simple yet powerful tool of ‘The Work of Byron Katie’ as well as sacred poetry, music, movement and group dynamics woven together to support us in honoring, seeing clearly, and stepping out of old paradigms that no longer serve us in loving Life as it unfolds. Refunds will be offered before April 19th, less a $50 processing fee per participant. There won’t be refunds afterwards unless we’re able to fill your spot. If there isn’t advance notice given of cancellation, if you don’t attend, or if you leave the workshop early, your payment is non-refundable.